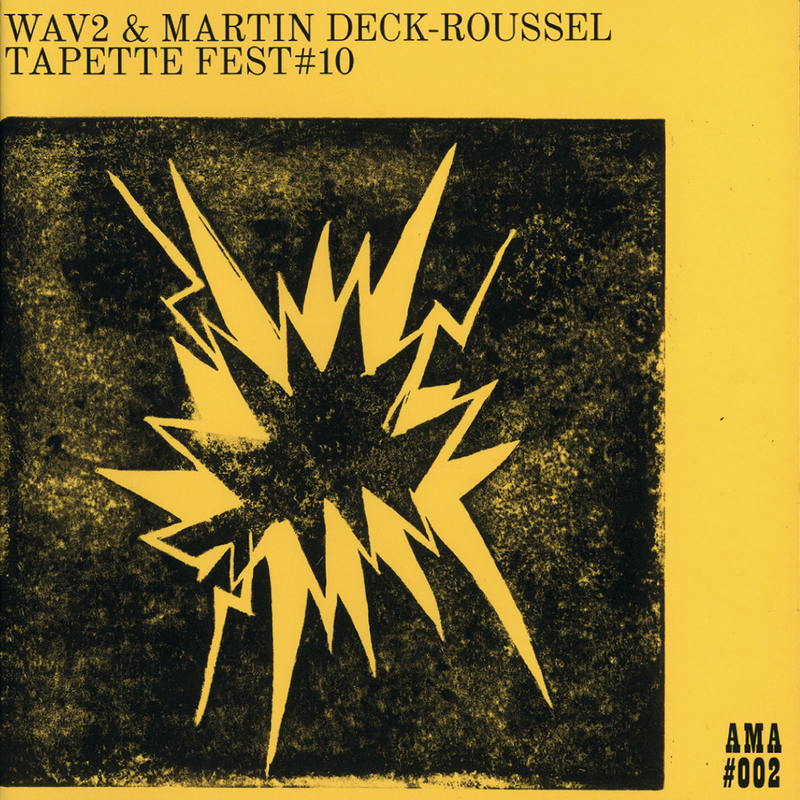 WAV2 is the wild version of AV2 (Clinch & Pierre Pierre Pierre duo), but with a guest. For the great Tapette Fest 10 — an experimental free noise jazz metal DIY festival hosted under a big top — Martin Deck-Rousell was invited to join in this performance. The concert aimed to be a dysfunctional improvisation, paved by accidents, errors, silences and explosions. Clinch and PPP were using various electronic devices and equalizer racks wired in feedback, hanging on their shoulder with belts, like guitars. Martin was controlling a set of 3 strobe lights, facing the three performers and handling with stage explosives — it is guessed that around 9 to 12 were used and 3 of them were much more powerful than usual, they could reach 150db. The heat was around 32°C during that day (June 2018 had been the 5th hottest month since 1900), this concert was the 13th in the lineup and was scheduled at 00H25 but happened with quite a delay… we can’t say how much. It was supposed to last 28 minute but it stopped after 15 minutes, as you can hear in the following recording. Clinch, Pierre Pierre Pierre + Martin Deck-Roussel. 30 June 2018, Jallais [FR]. Mastered by Nils Meisel | Artwork by PPP.